Please make a Support Ticket (if you haven't already) , and we'll be happy to assist you with it. Why are these threads not pinned anymore? The FFFF:FFFF issue is still very much a problem. The FFFF:FFFF error in the TERA Launcher or while logging into specific characters is generally the type of thing that is going to require a specific resolution on a per player basis, meaning a solution for one player might not be the fix for another player, and has to be handled through Support Tickets. I've got an issue on the launcher, it displays 3 different pop up windows. Not sure how you're missing those .dll files. They are part of the launcher and are installed when you install the game. These errors are typically the result of people deleting or modifying files that should be left alone. This should be resolved. Some of the login servers were acting up. They're working normally now. My guess is that some idiot somewhere decided to try another DDoS attack. This wouldn't surprise me, considering the exact same thing that several of you are describing happened yesterday. @Spacecats , @Treeshark , can you confirm or deny this? It's not from a DDoS attack. I removed multiple comments in this thread consisting of "THIS!" quoting other posts, and demands to have the ninja level achievements extended beyond 24-hours (which it will be, as stated in another forum announcement). Please keep this discussion on-topic to bugs experienced while attempting to launch. If you have no additional information to add to a bug that's already been mentioned by multiple people, please don't comment. The more this thread is derailed by other comments, the less useful it becomes when diagnosing and fixing problems. That means added time towards getting these issues resolved. @CobaltDragon @Spacecats i bet you guys already devoured so many coffees these past hours of stress and hard work battleing errors :P kudos guys <33 your work is very appreciated! Just happy to be able to help out when I am able to. 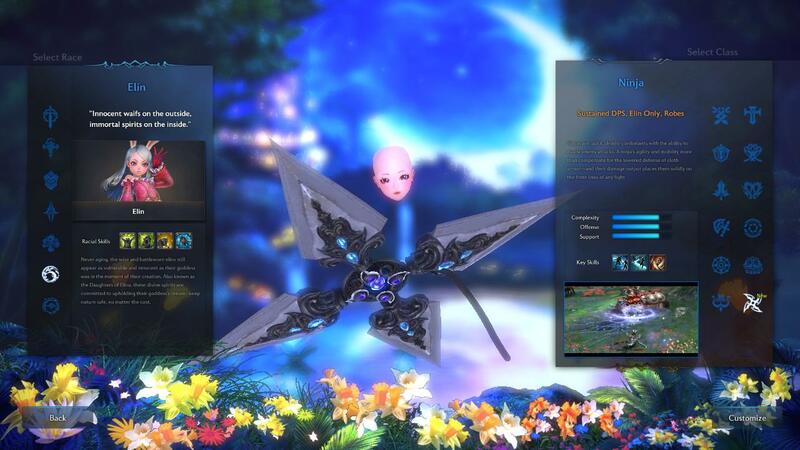 Removing Elin Mods will resolve this for you. My launcher updated the game successfully but when I press the "Play" button I get this message. I tried the "Repair" tool and it didn't accomplish anything.Any ideas? Is the Anti-Virus a type like "Windows Defender" , or is it one you specifically had to go and download yourself, like AVG / Avast / McAfee / etc.. ? Even though you mentioned you have set it to "off" some default settings can prevent the required connection, and lead to an FFFF:FFFF after pressing the Launcher's "Play" button. If i hit "enter server" the button glows for a second, but nothing happens. If i hit "refresh", the whole server list disappears. I allready repaired. enmasse hi, may i get atleast a "we cant help you sorry"
Could you please post a screenshot of your server select screen? Have you renamed or removed into videos or other game files? That's the most common reason for the error. Try running "Repair" in your TERA Launcher Tools menu. It's possible your game is either running a previous version, or it thinks it is. Are we supposed to be able to get in now? No, we're still in maintenance. Hello and happy Secrets & Shadows day! You're no doubt excited to get in and play the new update, but if you're in this thread it means you're probably having issues getting to that point. This thread is dedicated to posting issues you've experienced with the game launcher and patching process. If you're able to get into TERA and you're experiencing problems in-game, please post in the in-game issues thread. As this thread gets more comments, I'll try my best to keep this top post updated with a list of known issues, potential solutions, and when possible, the status of unresolved issues.